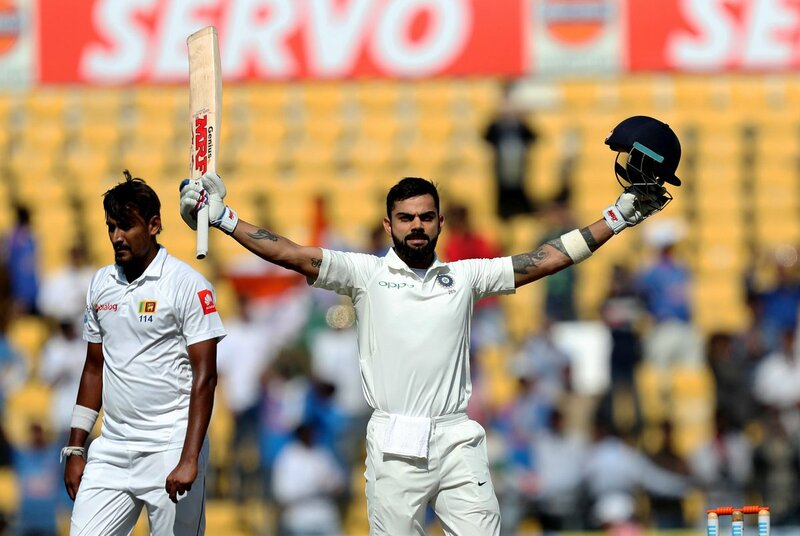 Nagpur, Nov 26: Indian Virat Kohli recorded the most number of international cricket centuries in a year by a captain -- after notching his 19th Test ton against Sri Lanka during their second match at the Vidarbha Cricket Association Stadium here on Sunday. Kohli, who now has 10 centuries across the three formats, surpassed former Australian captain Ricky Ponting (9) and former South African skipper Greame Smith (9). Ponting recorded nine international centuries in 2005 and 2006 while former opener Smith scored a similar number in 2005. Kohli's achievement was noted by the International Cricket Council (ICC). The Indian skipper was batting (170 not out) in the second Test against Sri Lanka here at tea.